Well, well, well – what an incredible night we had on Tuesday! If you’ve somehow missed the news – my 431/1 Lucas Joao 4fold landed thanks to an 89th minute Wycombe winner from The Beast, Adebayo Akinfenwa. I checked the scores with about 20 minutes to go and it was getting close to coming in, and while I was doing so I had a peek at the Sheffield Wednesday score and saw Lucas himself had netted for the Owls – a rare feat these days – so had a great feeling about the bet landing. It was touch and go with Rotherham the only team winning comfortably, beating Oxford 3-1. Shrewsbury struck their winner in a 2-1 victory at Fleetwood in the 82nd minute, and Bristol Rovers left it until the 79th minute to grab their third in a 3-2 reverse of Rochdale, so we were all made to sweat a bit. WINNER!!!!!! The 431/1 Lucas Joao has landed!! Was checking how the Lucas Joao was getting on earlier and noticed the man himself had scored for Sheffield Wednesday tonight – he hasn't netted many this season – so had a good feeling after that! It made matters worse that none of the games were on the box so I was staring at my phone screen intently in the hope it would pop up with a Wycombe goal – and The Beast provided, before an agonising eight minutes of injury time. In all the excitement, I nearly forgot the 21/4 Mixed Multiple also landed, and I tipped up a Plymouth win at 6/5. The Win 5fold just lost out due to promotion favourites Wigan somehow going down 2-0 at home to Blackpool, while the 7/2 BTTS treble needed just a Porto goal to win on Wednesday, but sadly missed out as Liverpool‘s usually unreliable defence kept it tight in Portugal. I’ve taken a bit of abuse on Twitter this season for my bets after a poor start to the season, but have always maintained this is mainly about longshots and a lot of them wont come in, but when they do it is worth it. I was absolutely delighted to see the positive tweets from people who backed the bet, and even some who didn’t, on Tuesday. Now, onto this weekend and it’s the return of the FA Cup, which can be great to watch but not so great to bet on, so I’ve left it alone but may well tweet out a few FGS fancies nearer to kick off. Look out for those on The Set Odds Twitter account. This is what it's all about – a fiver now and again, not going to win many but hopefully a big one lands eventually. And if it does the holiday is paid for. 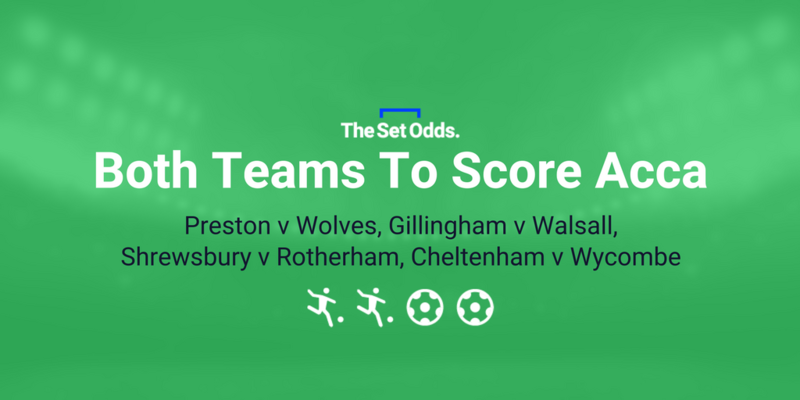 A lot of the Football League teams have failed to reach the 5th Round stage so there are a fair few League One and League Two fixtures this weekend, but there aren’t too many stand-out picks. It’s proved so tricky to select five winning teams I’ve not chosen a Win 5fold for this Saturday, instead going with a Mixed Multiple. There’s no point just throwing money at it if the games aren’t right – even if we did land a 431/1 winner in midweek! Cardiff should have enough to outdo Middlesbrough at home, although Tony Pulis’ side have shown slight signs of improvement of late. Southend are on the up, winning three of the last four and drawing the other, including a 3-1 win over Wigan, so I fancy them to see off an inconsistent Portsmouth at home. 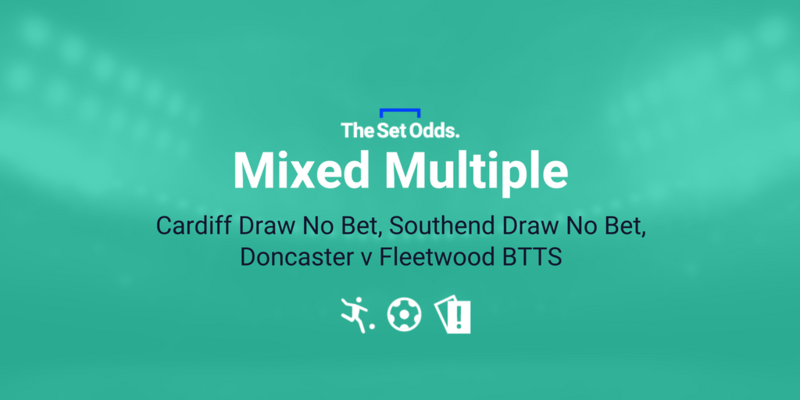 I have opted for a bit of insurance on both by going for them in the Draw No Bet market, but I’m really confident of the third leg of the bet, Doncaster v Fleetwood BTTS, landing. In their last five games, neither side has been involved in a League match featuring a clean sheet. I like the look of Bristol Rovers and Wycombe to repeat Tuesday’s feat by winning while conceding when they take on Wimbledon and Cheltenham respectively, and Gillingham should overcome Walsall in the same manner. I agonised over the final selection but eventually went for Accrington at basement club Barnet. At first look you wouldn’t think the Bees score much but 65 per cent of their League matches – the third highest in League Two – have seen both teams score, and I fancy Stanley to win this one. 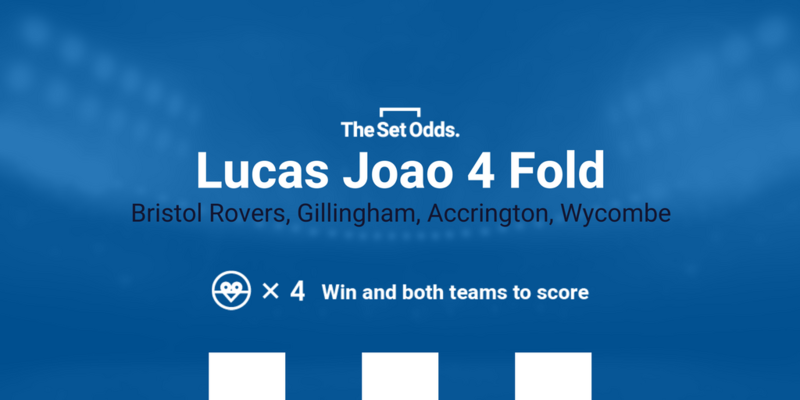 I didn’t plan to choose especially huge odds for the Lucas this week but it works out at 710/1 with Bet Victor, which is partly thanks to Bristol Rovers being a huge 5/1 to win and BTTS at Wimbledon. I cannot really understand that when the Gas have won four of their last five, all while conceding, and the Dons have lost four of their last five, and in three of which they conceded. So, I’m also going to have a 1pt single on Rovers win and BTTS at those odds with Bet Victor (bet HERE). Good luck! On Closer Inspection: Was Robinho a success at Manchester City?